It seems that whenever I remember reading about an interesting combination or technique, these persimmon chips being one example, a quick google search leads me back to Esi and her blog Dishing up Delights. And that, my friends, is where I first heard about pumpkin oatmeal. Yesterday, I tried a variation of the recipe with some McCann's Steel Cut Irish Oatmeal, my personal porridge of choice. Oatmeal in general is touted as a nutritious whole grain, but when you go for the quick-cooking rolled oats of the Quaker variety, the bran has been removed and they've been processed to absorb more water, thus the quicker cooking time. Steel cut Irish oats, on the other hand, have had the inedible outer husk removed, and have then simply been cut into smaller pieces, leaving the nutrient-rich bran intact. I am not going to lie to you and say that I eschew instant oats as a rule, I have no such imperative when it comes to breakfast. But when there's a bit more time in the morning, I love the texture of steel cut oats, and will gladly sacrifice the 30 minutes or so needed to cook them. Basically, for steel cut oats with pumpkin, I cooked the oats according to the package directions, but stirred in about 1/4 cup canned pumpkin, about 1/2 teaspoon cinnamon and 1/4 teaspoon nutmeg, as well as about 2 tablespoons real maple syrup 5 minutes before the cooking time was over. After all of that, I wasn't about to let the considerable leftovers go to waste. 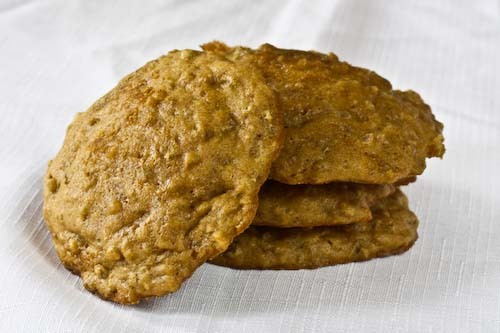 So instead, I used the pumpkin oats as the basis for these healthy breakfast cookies, which, however, were gone by the end of the day, making them instead healthy all-day cookies. Oven preheated to 350F, 2 cookie sheets, greased. With an electric mixer on medium speed, cream the butter for several minutes until it is a pale yellow color. Add the sugar and continue to cream until you reach a smooth consistency. Beat in the egg and the vanilla. In a separate bowl, gently stir together the oatmeal, flour, baking powder and baking soda, just enough to combine the ingredients. Stir this mixture until the butter mixture until well combined. Drop by rounded tablespoons onto the cookie sheets. I think I have a fairly liberal definition of a rounded tablespoon. Bake for 12-14 minutes, until the cookies are firm and the edges just beginning to brown. Transfer to a cooling rack to cool. * These are light and fluffy, with an almost cake-like texture, not heavy at all, and completely delicious. Had to take a break from prepping for Easter to comment. Wow, you are just too kind and I love your creations. 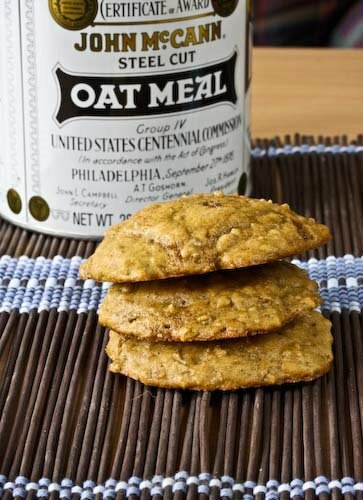 I would have never thought to use that oatmeal in a cookie. So creative and I am sure, insanely delicious. Thanks for sharing the pumpkin oatmeal! I won't have any leftover for breakfast cookies, but I sure did enjoy it. It's a great addition to my morning rotation. THANKS! 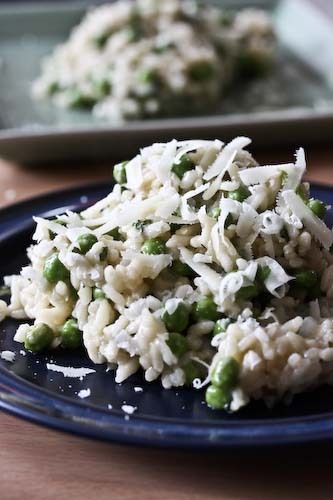 I stumbled across your blog and was so excited to find this recipe! I just made these cookies and they turned out delish! Have you tried to store them in the freezer? Do you think it would work b/c I am the only one who will eat these and I can save them for breakfast during the week. Lori, I'm not sure if these would freeze, as I've never done it. But I think they would be fine. They never last long enough when I make them around here to find out! If you do, let me know how it goes. Hi Andrea, I froze them and just popped them in the microwave prior to eating...still tasted good to me! I made these yesterday, shared with friends, and they disappeared! But I managed to save one in the fridge for myself, and they tasted even better after being chilled for a day! Gonna make some more today, and save them for tomorrow :) Soooo yummy! And great use of my steel cut oats, which I'm not too big a fan of.